Growing flowers from seed is a LOT of work. Not physical work exactly, but more of a discipline. One must care for the seeds, making sure they get water on a regular basis and that weeds don't take over. If you aren't invested in the flowers growing, if you don't believe that they will actually bloom into gorgeous specimens, you are less likely to remember to take care of them. Not believing they will bloom leads to not taking care of them, which leads to them not blooming - a self-fulfilling prophecy. Make no mistake, having one seemingly dead seed produce an entire harvest of gorgeous blooms IS a miracle. But to make that miracle happen, it takes believing and nurturing that belief. How does this same scenario play out in life? The miracle I dreamed of was wanting to be a professional speaker. I would, honest to God, sit in the front row of motivational events wishing that the speaker would spot something in me and encourage me to follow that dream. I never said anything, never did anything but wish. Then one day, I met a professional speaker at a conference I attended. He shared with me that the National Speakers Association actually helps individuals start professional speaking businesses. The meetings were two hours away, during the weekday and expensive, but I was so excited, it didn't matter. I attended every meeting, joined the academy, bombed my first speech and quit. I sulked for a while, joined Toastmasters and went back. I locked myself in my home for three days and finally figured out what I would speak on, got help in creating a logo, business cards, one sheet, website and worked hard on my talks. I said yes to anyone who would invite me to present. And I stopped allowing myself to sabotage by that voice in my head that was so desperate to keep me safe and small. And then, a miracle happened. At age 53, I became a professional speaker. Another miracle was my struggle with my weight . . . my ENTIRE life (no exaggeration). Then one day I quit and had a literal come to Jesus meeting (or Higher Power, God, Source, Spirit, whatever works for you) stating that I was done! I informed my God that I had two non-negotiables: I would NEVER diet again AND I would release 30 pounds. I did not know how it would happen but trusted God to show me. Shortly after, I heard about a study where scientists worked with rats to get them addicted to cocaine, and then gave them the choice between cocaine and sugar water. The rats chose the sugar water every time! Hearing that made me so angry, as I realized I was nothing more than an addicted rat to sugar! On that day, August 1, 2016, I quit sugar 100%. No will power needed (after I got through the withdrawals which weren't pretty!). I am now 35 pounds lighter and have never felt better. A miracle for sure! What miracle are you hoping for? What are you willing to draw a line in the sand and step over to make a miracle happen? What seed can you plant and then water, to grow YOUR miracle? DO IT ALREADY, would YOU? 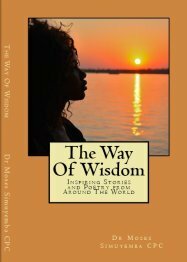 Cheri Neal is a professional speaker, coach, public service professional and the author of Seeds of Joy available at http://CheriNeal.com/products/. 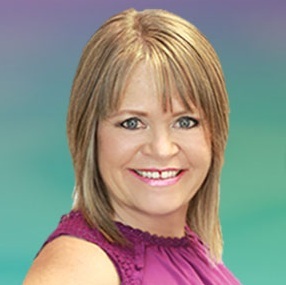 A dynamic speaker, Cheri mixes a powerfully refreshing blend of education, energy and entertainment, engaging participants with concepts for enhancing their lives at work and home. To experience the positive benefits that Cheri can bring to your audience visit http://CheriNeal.com/.